JVDPS’ mission is to promote the conservation of Jost Van Dyke, British Virgin Islands, its adjacent smaller cays and marine systems through education, research, restoration and montioring. JVDPS recognises that bio-diversity and native habitats are an important part of the social, economic, and cultural development of the Virgin Islands and protection is integral to the pursuit of sustainable human development and safeguarding the well-being of future generations. JVDPS’ Programmes and Projects contain elements of the following 3 areas listed below. 1.) Research & Monitoring: (Includes monitoring ecosystem health and investigating and identifying threats to help determine necessary conservation action). 2.) Education & Outreach: Includes everything from information development (publications), environmental education activities for local youth to professional capacity building (e.g. international workshops). 3.) Applied Conservation: Can include many elements of the above. Refers to Protected Areas co-management and restoration projects or hands-on projects such as the physical construction of Endeavour II. Learn more about our special island here. 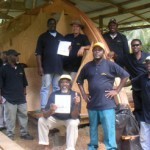 After a few years as an informal organization, JVDPS registered for status as an official not-for-profit in the British Virgin Islands in 2004 to ensure the integrity of its finances and to be transparent for all interested parties. Recently, a sister not-for-profit corporation was established in the State of Maryland (Jost van Dyke Preservation Society, Inc.) to grant tax exempt status for donors who are US taxpayers. This is an important long-term capability, since so many of the people who have come to know and love this island and want to support our efforts hail from the United States. Ms. Zaluski holds a master’s degree in Development Economics (concentration Environment & Development) from Tulane University. She first came to the Caribbean as a 19 year old undergraduate student to attend a semester abroad at the University of the West Indies – Mona in Kingston, Jamaica, where she completed a case study of a rural community in western Jamaica attempting to use nature and heritage-based tourism products as a tool for sustainable development. Susan has also pursued continuing professional development/training in wildlife monitoring and holds a certificate in composite wooden yacht construction from the Landing School of Boat Building and Yacht Design (Arundel, Maine). She serves as JVDPS’s main project coordinator and also as an instructor for youth programming. She grew up teaching swimming and has a general love for sailing and coastal environments. She is a certified lifeguard and holds STCW95 certification. 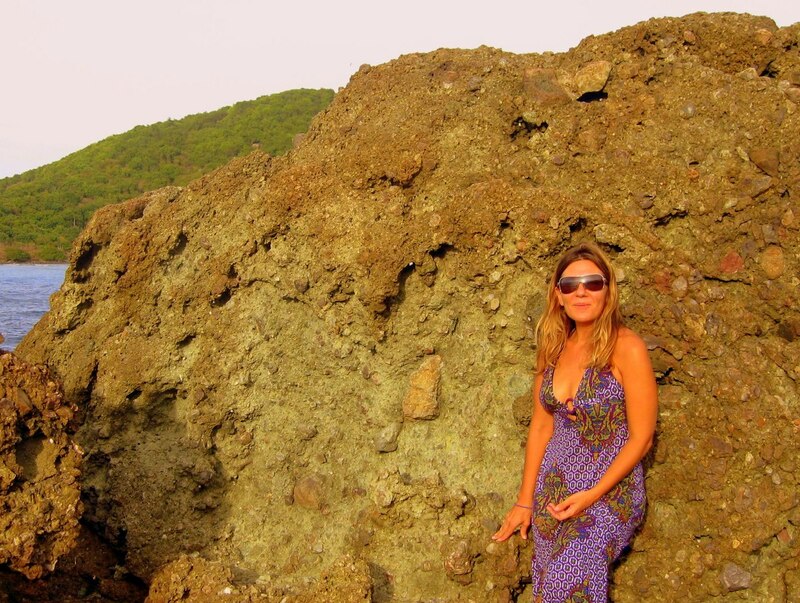 She is also a freelance writer and actively writes about nature and tourism in the Caribbean including Fodor’s, yachting industry magazine and inflight publications for regional airlines. Lorraine previously served as our Marine Education Coordinator. 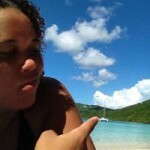 A native of Jost van Dyke, Lorraine recently completed her RN with University of the Virgin Islands and is currently away in the states. She spent 2 years working with City Year Boston where she assisted with environmental education programmes and through the Society gained her Dive Master certification in 2012 and then her NAUI ITC (Scuba Instructor’s certification) in 2013 with JVDPS partner organisation, SeaTrek BVI. Lorraine is also willing and ready to help on other projects that arise at JVDPS. Lorraine has since gone to the U.S. to pursue a career in Nursing. 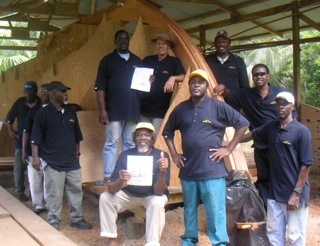 Mr. Blyden has been working as caretaker for Sandy Cay since 2005 (center front, yellow hat). He is responsible for making monthly visits to this 14-acre National Park to maintain the trail and work on an invasive species monitoring project. 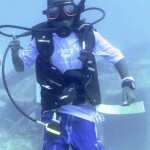 A native of Jost Van Dyke, Mr. Blyden lives with his family in Little Harbour. His wife, Carmen is the JVD District Officers and often a ready volunteer for the Society’s projects, while David’s three children have been actively involved in JVDPS youth education activities. From about 14 years of age, we had almost no choice other than to have this aspiring young marine biologist (now 17) come work for us (when he is not attending classes at BVI High) on periodic projects as a field assistant. 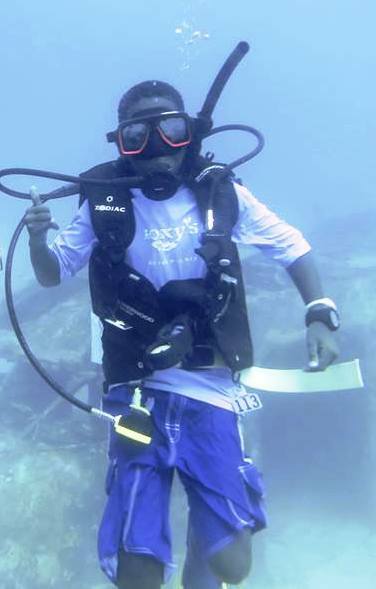 During summer 2013, Robert was the recipient of a a JVDPS/Seatrek scholarship and spent 3 weeks on a live aboard dive/sail training programme in the BVI where he completed his Advanced Open Water and Rescue Diver Certifications. 2014-present: Dr. Louise Soanes is JVDPS’ principal investigator on seabird ecology projects. Her work is funded through a fellowship at the University of Roehampton. 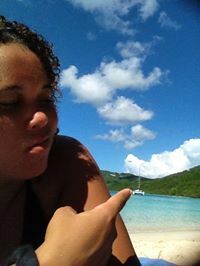 She resides in Anguilla, but makes frequent trips to the BVI for project-related field work with JVDPS.